​Good design is beautiful on the surface. ​Great design digs deeper to understand how readers think and behave. I bring together writers, editors, developers, photographers, and illustrators to create designs and data visualizations that tell a compelling story and connect with a larger strategy. I created an interactive showing the journeys of immigrants from eight countries and eras. Users confront the tough choices immigrants faced as laws and attitudes change and can see the consequences of choosing different paths. Team: Grainne McEvoy (research),Yan Wu (development), Joel Kimmel (illustration). I helped launch a digital magazine about the transformative power of experience. I collaborated on content strategy, and directed design, and development. The challenge: how to put users into the lives of others. The solution: an immersive approach using vivid photography and illustration, motion, virtual reality, and welcoming reading environment. 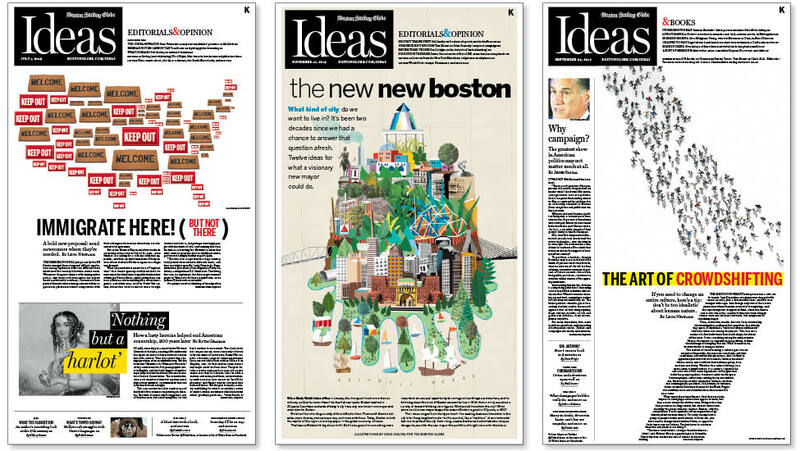 As creative director of The Boston Globe and BostonGlobe.com, I led the print, digital, news development, and infographics teams, building an award-winning visual brand that evolved with the changing media landscape. 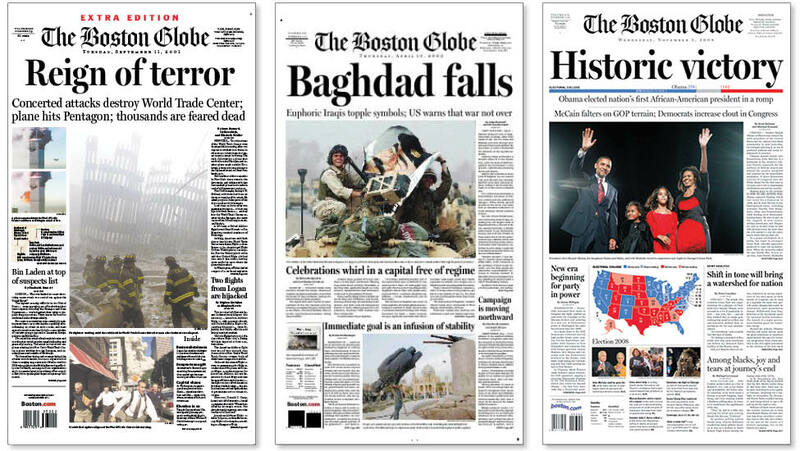 The Society for News Design named BostonGlobe.com “The World's Best Designed News Site” at launch in 2012. Pulling that off required more than good design and hard work by my team — we reached across the organization to build a culture of innovation, experimentation, reflection, and engagement with our audience. 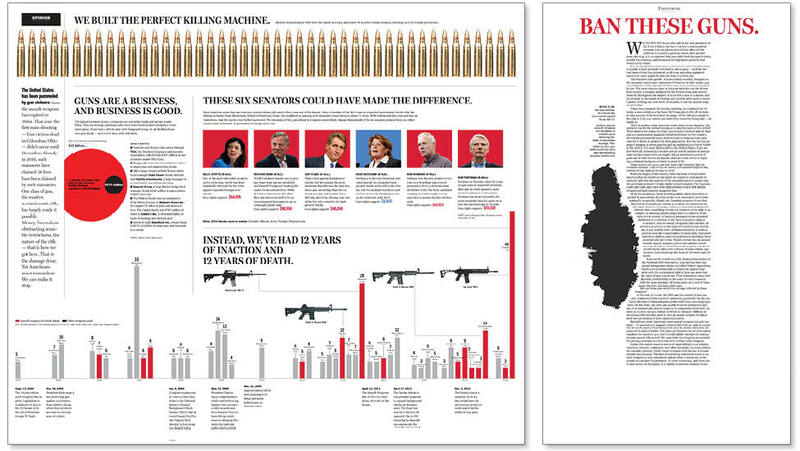 I led a team of designers and developers that built a powerful response to mass shootings. We worked with editors to shape stories and created infographics that explained the political and economic forces that have prevented meaningful reform. We developed a social media strategy that gave users a way to take action. The project took about a week from conception to launch. We broke apart traditional story forms, using a quiet but innovative approach that complemented the tone of this piece about an elderly man who bakes and sends a challah bread loaf to his grown children each week. The Globe’s Sunday magazine is a place where great journalism goes deep. It’s brought to life by designs blending illustration, photography and creative typography. I designed a number of issues on education, here using conceptual photo illustration for a cover story on standardized testing. ​For an investigative cover story on colleges preying on working class students and saddling them with overwhelming debt, we built an interactive that let users explore the scope of the problem and focus in on particular schools. Team: Dan Zedek and Russell Goldenberg. A new perspective, a new focus, a new voice: successful redesigns are always driven by a fresh look at content and audience. 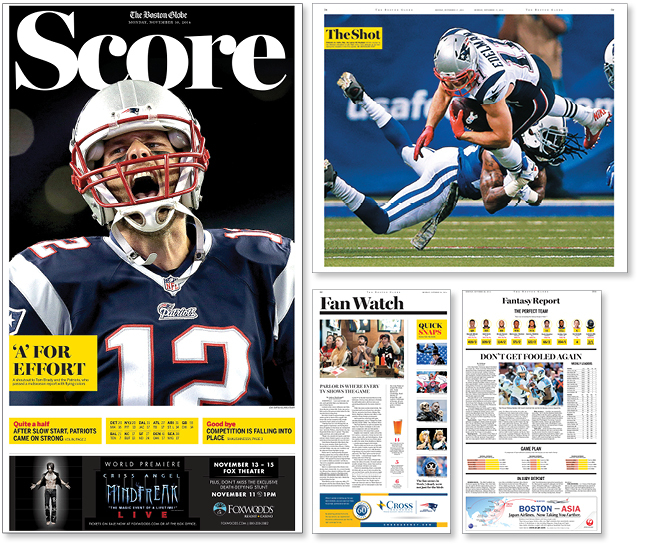 For Score, a new Monday football section, we turned things around to view the game from the fan's perspective. The result: stronger voices, more analysis, a look at the best tailgate parties, a dive into fantasy football, and a double-wide photo poster every week. 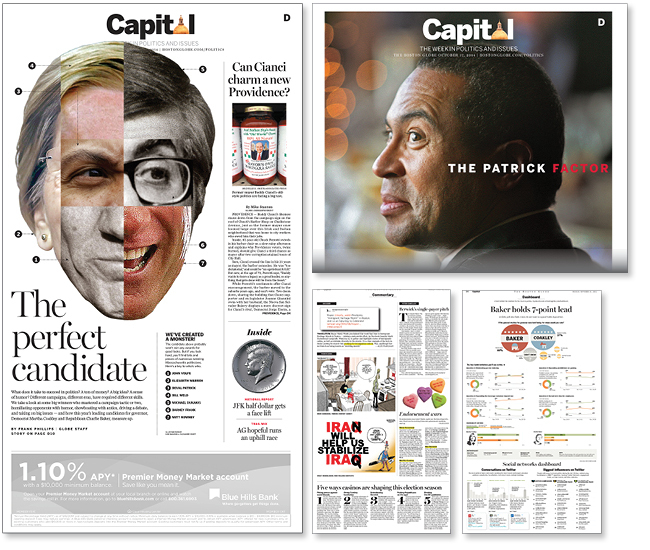 Capital, a new section on politics, gave readers a colorful, irreverent, behind-the-scenes peek at the issues and personalities in the news. And to anchor it, we went deep with data: analyzing social media data for a look at the people moving the needle, polls, and the numbers behind the news. 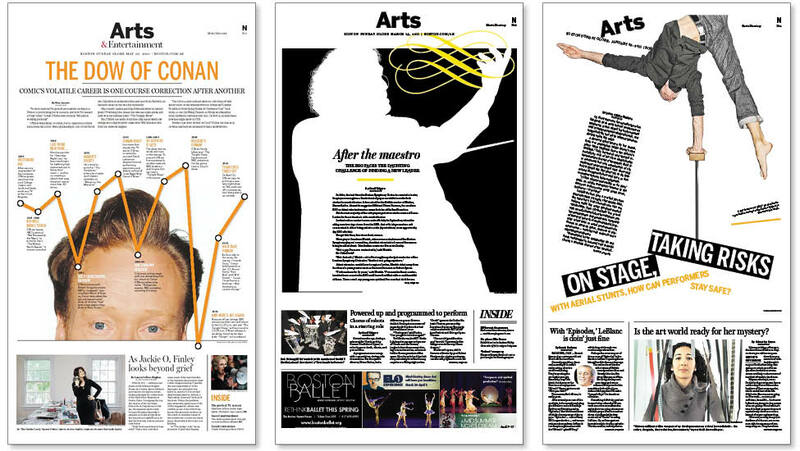 We built a print section for a world where news breaks on the web. Straight news stories get a full-length treatment on the web as they happen but become news briefs the next day in print, leaving the newspaper to concentrate on providing analysis, color, and context. 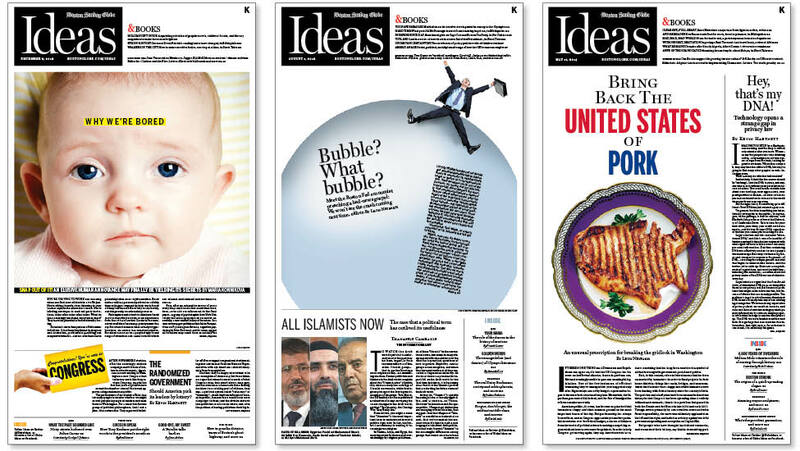 The Globe’s Ideas section has a smart surprising take on the world that’s matched by conceptual design with a twist – and often leavened with a dose of humor. When the big stories happen — the ones that change and shape us — a visual journalist’s responsibility is to get it right and create work that feels as big as the event. From 9/11 to presidential elections, to the Boston Marathon bombing (read about how we covered this), to wars in Iraq and Afghanistan, to numerous sports team championships, I worked collaboratively with reporters, photographers, and infographics artists to to capture the decisive moments and go deeper to explain what they meant. Contact me to see more work.